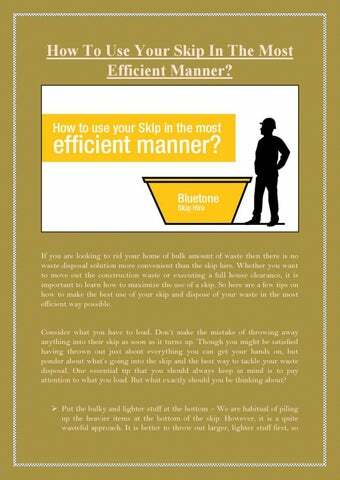 How To Use Your Skip In The Most Efficient Manner? they can be weighed down later on by heavier objects. You’ll see that, as you go on filling your skip, the heavier items will free up more space eventually, pressing the lighter waste further to the base of the skip resulting in less wasted space throughout.  Destroy your waste before dumping it - The larger items like boxes, wardrobes, fixtures and fittings that can be dismantle, broken up, or flattened should be done so before you put them in the skip. This ensures that they take up less space and fit more conveniently with all your other waste. 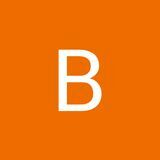 knowledgeable, they will help you find the ideal size of skip for your needs.